During the treatment the beekeper removes the outer cover of the hive and the thermosolar ceiling is exposed to the sun. The increasing temperature is monitored on the built-in sensors. Once the temperature reaches 47°C in the upper part of the hive, the beekeper ends the treatment by puting the outer cover back on. Thanks to the unique technical solution the temperatures within the hive even out and keep over the healing limit for more than 2 hours later. That is sufficient to kill the mites hidden inside the brood. 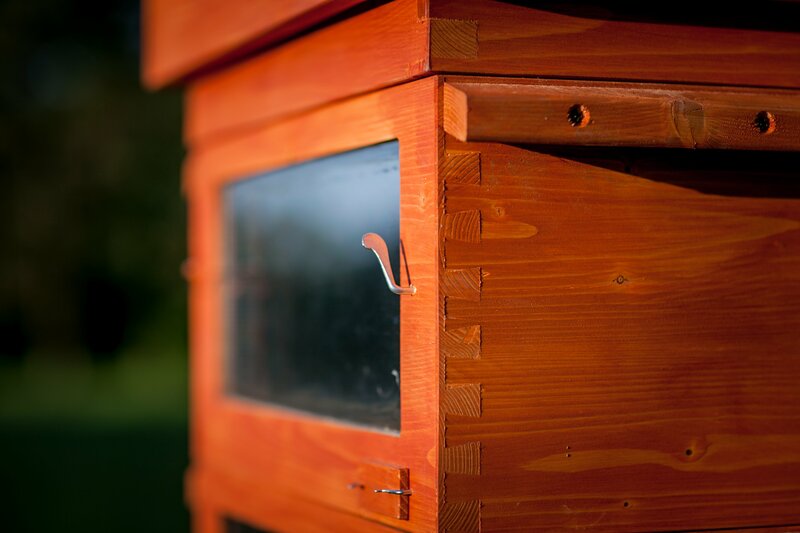 Bees, bee brood, and the combs tolerate such increased temperatures without any problems. Most of the Varroa mite is killed; only those mites attached at the moment to the bees outside the hive survive. The remaining mites move from the old bees on the larvae during the following 10 days. So it is perfectly sufficient to repeat the treatment once again, and the Varroa is exterminated completely.